Stationery is something we all need and use almost every day, even if we don't think we do. Pens, pencils, paper, envelopes, note pads, sticky notes, diaries and a million and one other items. Some people just love stationery. Some people collect it. There are a couple of large stationery suppliers or franchises who offer competitive prices for all their office products. Of course you can always buy your stationery needs from a large department or chain store, they have lots of varieties to choose from and they are usually found at fairly reasonable prices. Officeworks is Australia's largest stationery supply store with 140 branches Australia wide. They cater for business and personal stationery needs and offer the largest range of stationery and office products. They also have on-line facilities for your purchasing convenience. 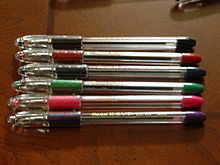 Office National and OfficeMax are also leading stationery suppliers with many large branches all over Australia. There are lots of little boutique stationery stores opening in shopping centres all over Australia. These stores are always full of colourful new items and people seem to flock to them. Apparently, stationery outlets have become the latest 'in' store. The product range in these types of stores is bigger and brighter than ever with items sources from all over the world to bring you the latest, classic and fashionable stationery products. Smiggle is Australia's hottest selling stationery brand, selling the biggest range of products at the best prices. With 20 stores Australia wide they offer all new designs so you can express yourself with great colour, great design and great looking stationery. With the bright, opulent colours, and cheery designs, this is a massive hit with kids or the young at heart as it gives them a chance to express themselves with their stationery. Kiki K has a fashionable collection of stationery products to help you get organised. With stores throughout Australia they have a huge range of gift ideas so you can buy lots of little gorgeous things for your friends or for yourself. With a lot of items you wouldn't find anywhere else, this store is popular with most people who are trying to set up offices. They have a slightly more grown-up feel to the store with leather bound journals and expensive pens being a massive draw for this store that some stores just can't provide. Typo stationery stores are full of irresistible stationery and gift ideas at affordable prices. With unique and different designs- everything from pens and cards, to clocks and salt and pepper shakers this store is almost a hipsters paradise. Things that can't be found anywhere else, but everyone will want to know where you got it from. But it's so underground they won't have heard of it. 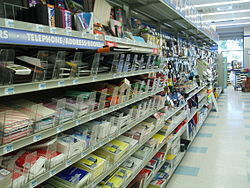 Most stationery stores can offer you on-line shopping; it's so easy and convenient. 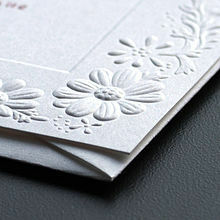 There are also lots of purely on-line stationery suppliers. Notemaker, which is Australia's largest on-line stationery shop, Paper Magnolia, Two Owls Boutique and Note Couture to name but a few. These places and many more are easy to find on-line, some specialise in collectable items, some in personalised stationery so you can pick and choose exactly what you are looking for, and whatever suits you best, in the comfort of your own home. Most of these stores also offer the opportunity to purchase or customise gift cards and invitations. You can also do this online at many websites. Personalising a birthday or Christmas card is a novel and easy gift idea and it makes receiving one just a bit more special. Invitations can be customised for weddings, birthdays or any other special occasion which gives your event that unique flair. Whether you need stationery for work or everyday use, or want something a bit different as a gift you should check out these stores, you are sure to find something just perfect. Great places, I love to go to smiggles. Although, I do love recycled writing products. Officeworks keeps some, but I often have to find a special eco store to buy. As often, you will find alot of paper products come from places like Indonesia where the Orangutangs forest homes are disappearing. I know Friends of the Earth have some paper products in their Melbourne Cafe. I would love to see more eco friendly paper turn up everywhere. But love smiggles etc. I love typo and agree that Typo is full of irresistible stationery and gift ideas. When I bought some Christmas gifts from typo for friends, they all loved them. They are not priced too high and are quite unique. Worth have a look at the discount table too. I bought from a local online Perth supplier ozpensales.com.au. Great prices and service.